Granthamania: Mobile Blogging on my iPhone? I just found out that Blogger has an iPhone app. I thought I should test it out and see how blogging from my phone will work. 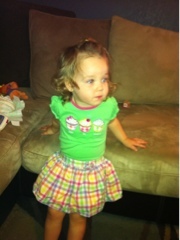 As a result, you get to see a few iPhone pictures. If you are friends with me on Facebook, you've probably seen these. 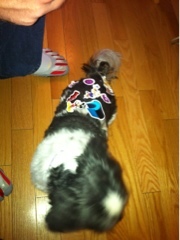 The picture of the dog with stickers covering it is Mark's parents' dog. Bentley, the dog, is such a trooper. He tolerates Chloe's nonsense pretty well. 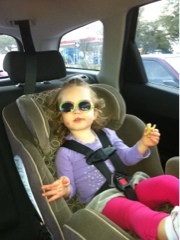 Oh how sweet it is to see Chloe growing into a darling little girl and enjoying life. 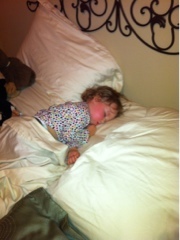 Wish I could watch her and give her a hug. 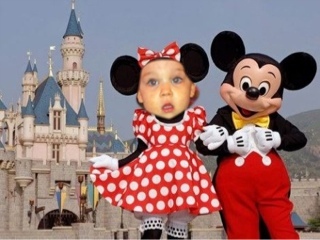 The Disney photo is really cute.